A Mac user at all times is required to quit an application from system menu bar since clicking on the red circular button, placed on extreme left of an application window does not quit or unload it from the memory. The closed application becomes invisible for a while but continues to run in background. It therefore is not shut down in real terms. Alternatively, a Mac user can quit an application by using a hot key (command –Q) as a keyboard shortcut. A keyboard shortcut is a combination of keystroke on a computer keyboard that makes a command ready for an action. For instance, Shift-Command-Q logs out Apple Menu and Shift-Option-Command-Q Logs out from Apple menu immediately. The same i.e., the log out procedure is quite simple in Windows OS as one can close any application by just clicking on the ‘X’ (close) button residing in the top-right corner of a window. Consequently, Mac OS X has come up with ‘RedQuits’– a Windows like application quitting method that replaces the default method of shutting down any application. 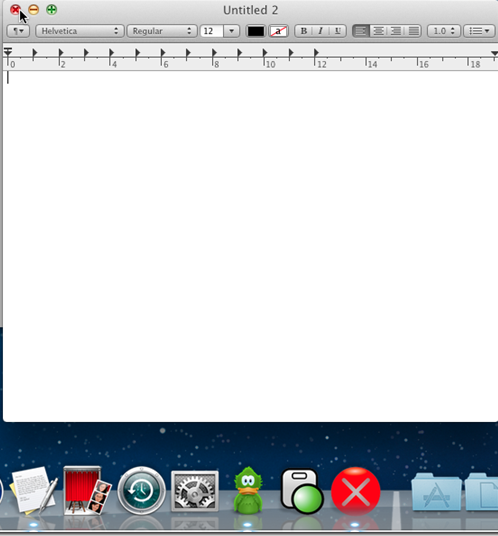 RedQuits is offered as a free utility by Mac for its users. It is easy to download and is compatible with Mac OS X Lion 10.7. To install the application you will be required to enter a ‘Username’ and ‘Password’ first before initiating further actions. After the installation process is completed successfully, you can launch RedQuits by accessing the ‘Applications’ folder. So long the RedQuits application is operating in the background without any hitch you can close multiple windows just by clicking the red button.